A decade after the last movie, more than thirty years after the last movie people actually liked, and a numbing amount of prerelease hype, a new Star Wars movie has hit theaters. For once, the wait was worth it. The Force Awakens is an unqualified triumph and one of the best movies of the year. Taking place thirty years after Return of the Jedi, The Force Awakens opens with the stormtrooper of the First Order, which has replaced the Empire, massacring a small village on a desert planet. It highlights the two central thrusts of the movie. The first is the familiar. During this scene, important information is stashed in a droid who is sent away to get help, just like at the start of Star Wars. It also shows a stormtrooper react to the atrocities he and his allies commit. That is what The Force Awakens does. It frequently and intentionally alludes to or straight out copies scenes from the original trilogy, but combines it with fresh new character and concepts. It really shines in bringing new heroes to the series. Rey is this trilogy’s desert prodigy child, following in the footsteps of Anakin and Luke. She is immediately charming and compelling. Unlike Luke and his yearning for adventure and excitement, Rey has no desire to leave her home, not until the parents that abandoned her there come back to get her. As she gets caught up in greater struggles than she knows, she becomes all the more interesting. Then there is Fin, the one time stormtrooper who is rebelling against his training. He is awkward and jumpy and ultimately relatable. The third member of the triumvirate is Poe, a hotshot pilot who is all charm and confidence. In some ways the three are simply a rearranging of the trio of Luke, Han and Leia, but they all feel fresh and interesting. Taking the place of Darth Vader, both and the villain and literally in character, is Kylo Ren, a failed Jedi student who consciously apes the famous bad guy. This deliberate mixture of old and new occasionally leans a little to hard on the old. As much fun as it is to see Han, Chewie, and the Falcon, the stronger parts of the film are the parts that are moving forward, not looking back. In this movie, Han is passing the baton, not taking center stage. The Force Awakens brings back a sense of momentum and adventure to the series. It is a propulsive film, sometimes to its own detriment. At all times the movie feels the need to keep the action up. That is a big improvement over the flat dialogue and a turgid romance of the prequels, but it has its own drawback. The movie never takes the time to let the character breathe; there are few scenes like Luke at home with his Aunt and Uncle or his first training on the Falcon. Even when they are there, they feel truncated. That is less a fault of this movie and more a commentary on the current state of blockbuster movies. If there is one thing I do not like about The Force Awakens, it is the narrative that has sprung up around it, that the fans have come to fix what Lucas put wrong. The prequels, and to a lesser extent the special editions, have long been a target for supremely nerdy hate. I am not going to try to defend them, other than to say that they are in no way bad enough to deserve such vocal hate, but this attitude about them and their relationship to TFA is disappointing. The idea that TFA is what the prequels should have been, but George Lucas was unable to see it rings false. For all that TFA does well, it highlights the prequels strengths. Those movies, for all their faults, had a sense of newness about them. They weren’t the same hero’s journey of the originals, but a broken form of that. The special effects, which have not aged well, were on the cutting edge. The Force Awakens lacks that feeling of newness. There is a sense of a return, that things are back they way they should be, but I perversely yearn for those unknown territories. Still, Star Wars The Force Awakens is a triumph. It may hew a little too close to its predecessors, with a few too many direct references, but otherwise it is astounding. While the old favorites are used as a selling point, the new blood is what is going to keep me coming back. Rey, Fin and Poe are characters I can’t wait to learn more about. Kylo Ren, for all his intentional aping of Darth Vader, is an original villain, more pathetic and pitiable than scary. He is still highly dangerous, but he feels more like a teenager throwing a tantrum and less like a powerful force of evil. 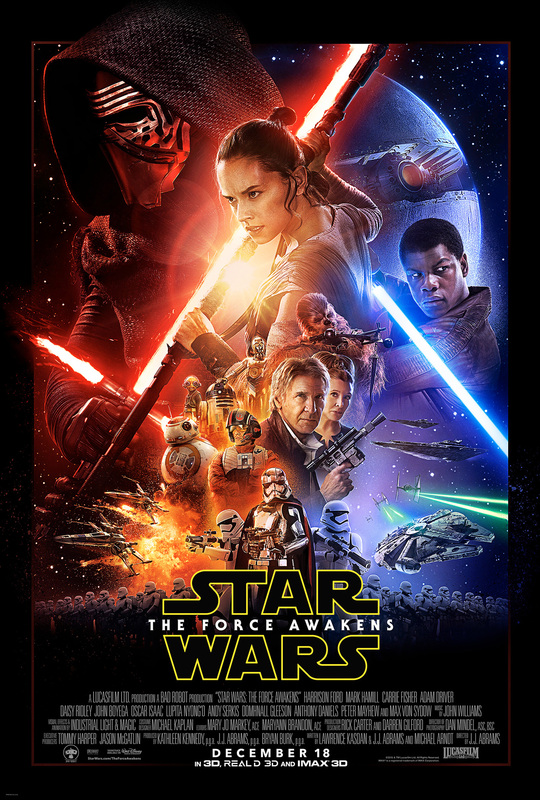 Star Wars The Force Awakens lives up to the legacy of its predecessors. It is a terrific continuation of the saga that is hopefully one glance backwards before moving on to the new.